Home > Updates > Dr Pramod Saini, Spine Sugeon Jaypee HospitalDr Pramod Saini is a Orthopaedic surgeon with special training in Spine surgery. He is a Fellowship trained spine surgeon. Even though he is an Orthopaedic surgeon, his Practice is restricted to Spinal problems. He does not practices general orthopaedics. He specializes in both non operative and operative treatment of slip disc, sciatica, spondylolisthesis, lumbar canal stenosis, spondylitis, Tuberculosis of spine (Pott's Spine), Spinal fractures and Osteoporotic vertebral compression fractures. He is an expert in spine surgeries like microdiscectomy, open discectomy , spinal fusion, fracture fixation, kyphoplasty, vertebroplasty and decompression for lumbar canal stenosis. 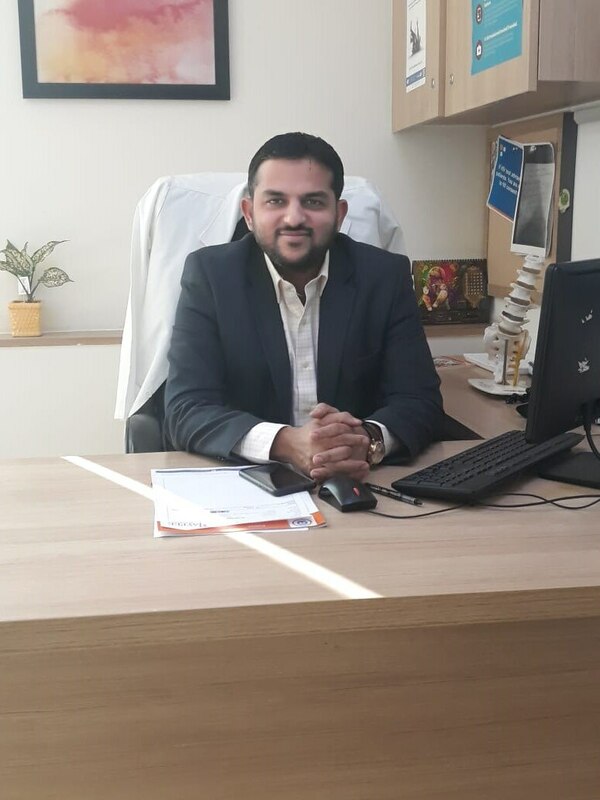 Dr Pramod Saini, Spine Sugeon Jaypee Hospital Dr Pramod Saini is a Orthopaedic surgeon with special training in Spine surgery. He is a Fellowship trained spine surgeon. Even though he is an Orthopaedic surgeon, his Practice is restricted to Spinal problems. He does not practices general orthopaedics. He specializes in both non operative and operative treatment of slip disc, sciatica, spondylolisthesis, lumbar canal stenosis, spondylitis, Tuberculosis of spine (Pott's Spine), Spinal fractures and Osteoporotic vertebral compression fractures. He is an expert in spine surgeries like microdiscectomy, open discectomy , spinal fusion, fracture fixation, kyphoplasty, vertebroplasty and decompression for lumbar canal stenosis.